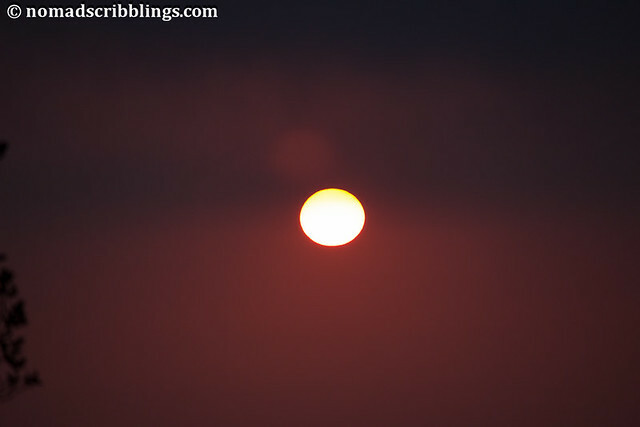 A day in clouds – the ascent of Triund. Tips and more. 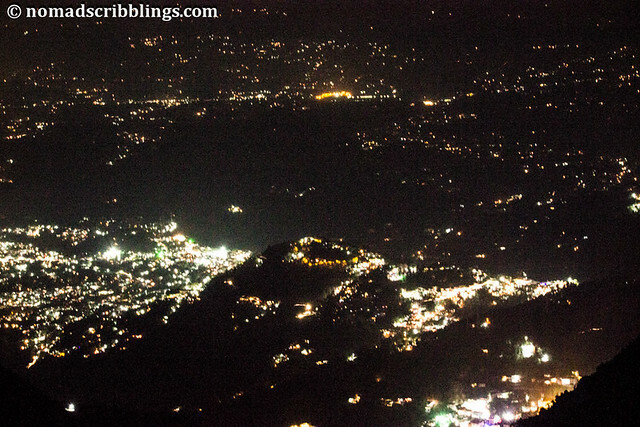 Triund is one hell of a trek near Dharamshala or more accurately, Mcleodganj. Gorgeous views, moderately difficult and little chance of losing your way. Just keep following the one trail and you’ll be fine. And wherever there’s a fork, look out for the blue or white colour arrows that have been marked by other trekkers to show you the way. There was one point which had no such arrow, or it might have got erased in all the rain, wind and snow. But I marked one there on a rock, so you are in no way getting lost on your way in the Dhauladhars. Considering that, I won’t be putting in any route details or itinerary for this one. Just my experience and some handy, quick tips in the end. You’ll find it difficult only if you’re new to trekking. Your best company on the Triund trek are mountain dogs. Amazingly friendly, you’ll find at least one of them on the trek. One happily accompanied me all the way up the trek, sharing some sandwiches as well. While it certainly broke my heart when I realised that there was at least one of those dogs giving company to every trekker, I loved the company. For one, everytime I stopped to catch my breath, he too would stop and sit nearby and I wouldn’t feel alone! Plus, whenever I neared the edge, he would come leaping between me and the edge (I mused if he was my guardian angle!)! I saw one of the most amazing sunsets of my life on the trek, gaping in sheer wonder as the water laden clouds turned orange and played with the Sun. Shortly before that, some rain and little bits of snow had made me quicken my pace. I gasped in delight as I saw the brilliantly bathed (in the orange of the Sun) Dhauladhars, standing there in a joy that made me go mute. Sadly, no sooner had I reached the top that the Sun dove behind the Himlayas leaving me cold and tired. 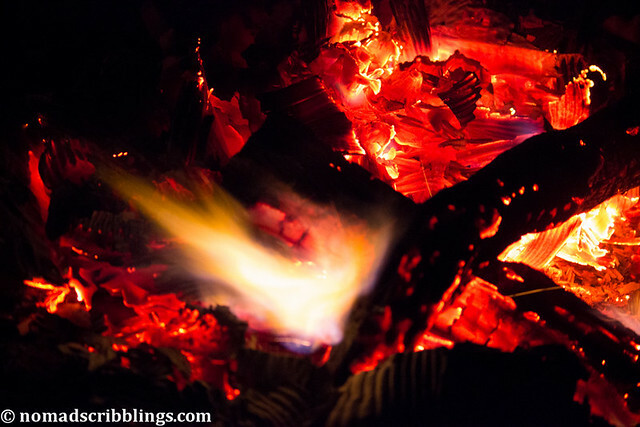 Having a bowl of tomato soup, I sat as close to a raging bonfire, as I could, chatting the time away with the two shack owners. I sat there poking the bonfire to make it rage more, but seeing my lame effort, those guys pitched in with some, much needed, help. Other than me, two foreigners, too had resolved to spend the night at one of the shacks. Chatting with them for a while, we made the plan for the next day’s ascent to Snowline. As the night progressed, stars came popping in the sky, huge ones, in an amazingly clear sky. I would have stayed outside the whole night if not for the cold. It was so bitterly cold that I thought of a certain death up there. It made me remember the guy (from a book) who broke his tooth because he couldn’t stop chattering in the cold. Some layers of clothes and two quilts made me survive the night somehow (okay, for a confession, I had some swigs of rum. But then, you gotta do what you gotta do!). A quick (not entirely true) climb to Snowline made for much of the early morning. With a fascinating sheet of snow all over, Snowline was worth all the effort. Perhaps, the best tip for doing the Triund trek is to do it without a guide! A relatively easy trek, you don’t need to take a guide along. While most of the tour operators are more than eager to get you a guide and stay for around INR 2200, you can do the whole trek for INR 500! Book a room at the Forest Dept Guest House for INR 500 from the main office at Dharamsala, or talk to one of the shack guys at Triund top for more stay options. Start your day early, for you would wish to reach the peak before sunset and soak in some gorgeous, unforgettable views before it gets too cold and dark. Get trekking shoes or sports shoes that have a good grip, for weather changes quite frequently here. I started climbing under bare sun and it started snowing in half way. Thankfully, it went away swiftly too. Coming to rains, a waterproof jacket and shoes are a must. Plus, this trek is to be strictly avoided during monsoons. Carry spare batteries for your camera, for there’s no power supply even when you reach the rest house. If you don’t mind paying some extra bucks for food, water and other such stuff, there’s no need of carrying the stuff all the way up. Go light, trek easy. Why trekking in the Himalayas is a must for me! Thanks for the reply…just tell abt the precautions which i sud take bfore treking? Anytime other than the monsoons is good to go. Winters are amazing if you have proper hiking boots for snow, as it’s quite solitary then. 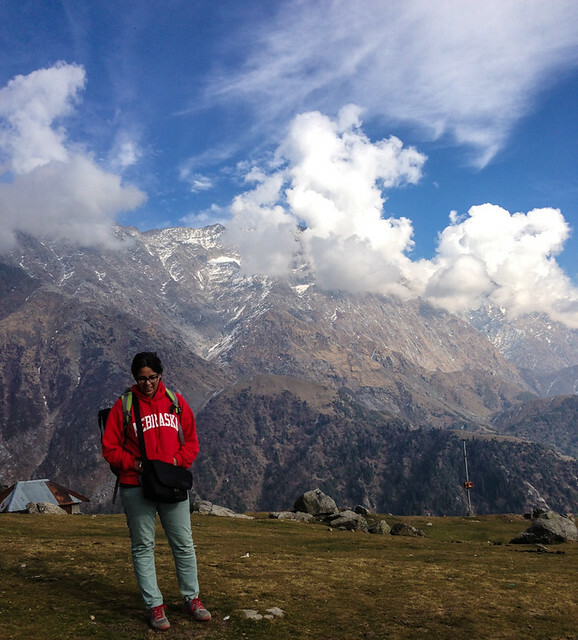 hi shikha…just tell me which is the best time to go for this trek? One of my best treks will date. Oh yes, I loved the whole trek. While it took me some 5 hours with ample of stoppages in between, people who are good at trekking reach the top in 3! Seems like you had a great time. How long did it take to reach the top?